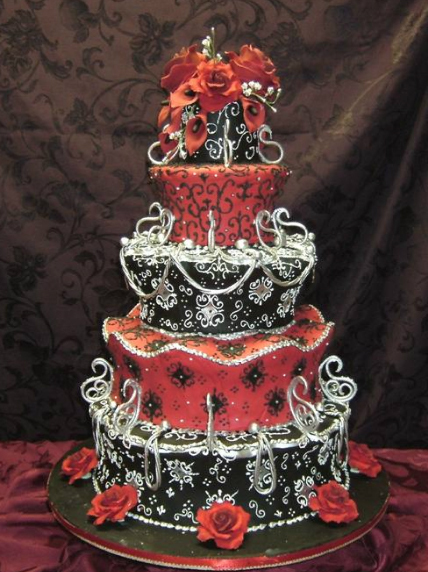 Wedding cake ideas in red and black! 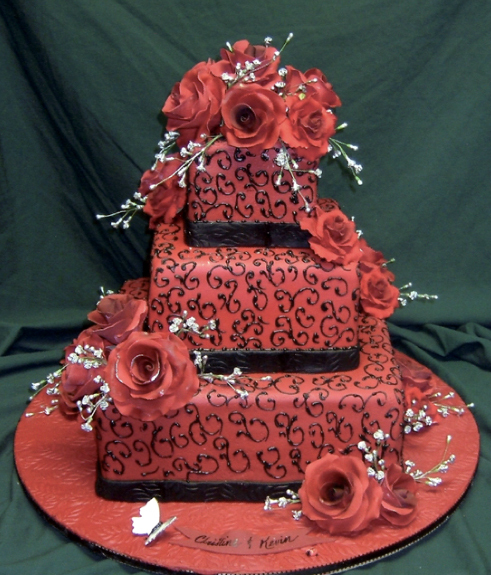 The following two wedding cakes pictures comes from Jackie's Cake Boutique. 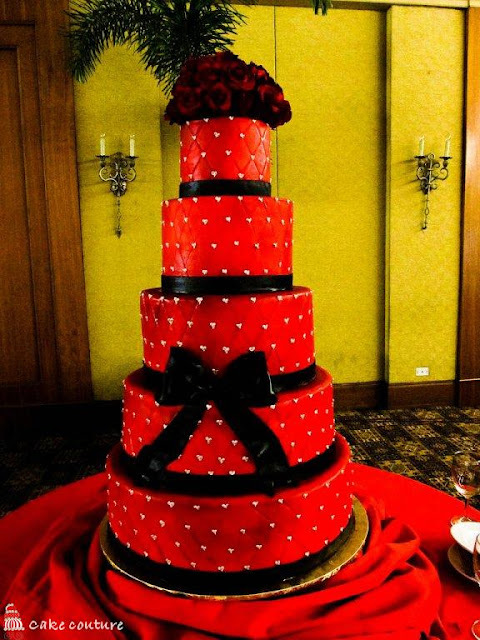 A stunning five tier wedding cake in red and black with sugar roses. 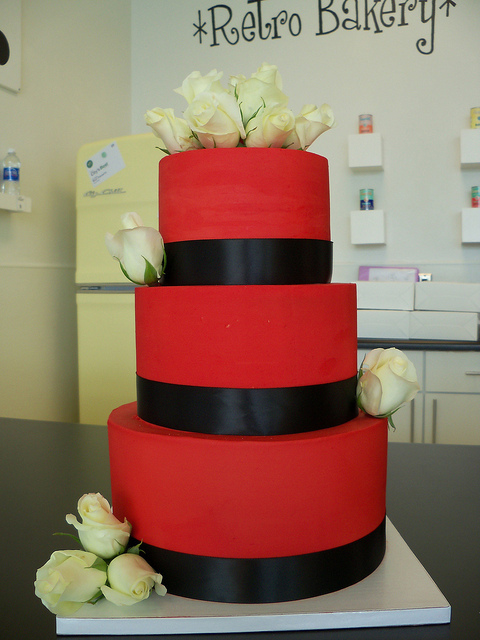 Beautiful bright red buttercream cake with real black ribbon and fresh white roses.